Who are the Dream Doctors? 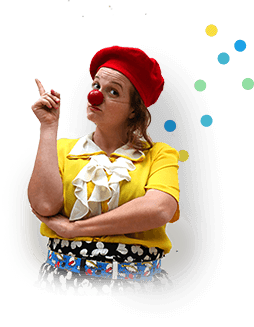 All Dream Doctors medical clowns are active performers in Israel with a rich background in the dramatic arts (acting, street theater, physical clowning, and more) and undergo intensive training before working in hospitals. We consider medical clowning as therapeutic and like other professionals and paraprofessionals in the hospital, the Dream Doctors work on set days and regular hours. Where do the Dream Doctors work? 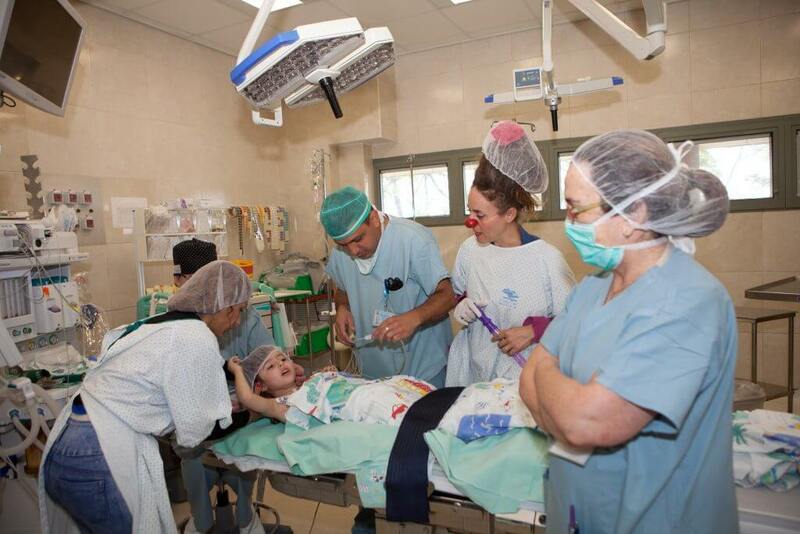 Dream Doctors work in 29 hospitals across Israel in more than 30 different departments, such as oncology, the Emergency Room, surgery, autism clinics, maternity wards and the neonatal intensive care unit (NICU). They work hand-in-hand with doctors and nurses as part of the multidisciplinary medical teams, assisting in performing more than 40 different procedures. How can I become a Dream Doctor? When positions in our partner hospitals become available, we will offer a 5 month training course for selected candidates. The course is offered in Hebrew and will accept only those who have completed the preliminary screening process and are found to be qualified for our training. Professional artists in Israel who have completed studies in theater or clowning at an accredited institution and have acting or theater experience are welcome to submit their CV to our staff for consideration. Do Dream Doctors only work with children? No. Dream Doctors also work with adults, youth-at-risk, the elderly, veterans, Holocaust survivors, communities in trauma and anyone who can benefit from a therapeutic medical clown! Are many children afraid of clowns? A study conducted at Carmel Medical Center found that only 1.2% of children experienced fear of medical clowns. Does The Dream Doctors Project have programs outside of Israel? The Dream Doctors only work in hospitals in Israel. However, we travel all over the world to bring humanitarian relief to communities in need of emotional support after natural disasters. We also work abroad through the Ministry of Foreign Affairs, to offer training, workshops, and lectures to professionals and volunteers. Can Dream Doctors come to my organization to provide training to my staff? Yes! We offer training for medical and therapy teams, students, medical clowns, and more! Please contact our staff for information. How can I support the work of the Dream Doctors medical clowns? The Dream Doctors Project is a registered non-profit organization that is fully-funded by donations. For every $54 donated we can provide an hour of medical clowning for a hospital. Visit the donate page to make a quick and easy online donation. Tax receipts are sent automatically to the US, Canada, the UK and Israel. Contact our staff for information about donating by wire-transfer or check, or to dedicate the donation in honor of or in memory of a loved one. Tax-exempt donations from Australia can be made through our partner Ausimed (please write “Dream Doctors” in the comments). If you’re interested in hosting a fundraiser, personally or for your community, our staff can help you with all of the resources and planning you’ll need for success. You can also be an ambassador for the Dream Doctors! Tell your friends, family, colleagues, and neighbors about our work and help us share our message with the world. When you sign-up for our newsletter, like us on Facebook, or follow us on Instagram, you’ll see exciting updates about our work abroad, touching stories about our work in hospitals, beautiful photos, and heartwarming videos. Whenever funding is available, an RFP (request for proposal) is sent out to all hospitals and academic institutions in Israel. An independent committee of doctors, professors and researchers will evaluate the proposals and award research grants to the teams who are selected. To find out about donating to the research fund, please contact our staff. And visit the research page to read the published studies that have been supported by our research fund.